Complete Solar Eclipse only occurs on March 20th once in every 100,000 years. The last Partial Solar Eclipse took place right before the ‘Dark Ages’, the first age of Liberal Darkness ruled over by Vlad Tepes. March 20th is the Spring Equinox, an ancient pagan rite that was created during the First Age of Liberal Darkness, also known as the ‘Dark Ages’. During those times, Christians were persecuted by demented Jesus-deniers who followed the teachings and practices of Vlad Tepes: feasting upon innocent human blood, engaging in gay marriages and worshiping their leader Vlad Tepes, the very man who would become known as Dracula. The First Age of Liberal Darkness ended during the Renaissance, when brave and bold Christians took control of Europe and ushered in an unprecedented era of peace and morality. And that era has mostly lived on, until now. For the first time in recorded human history, a complete solar eclipse will take place. March 20, 2015, is the first day of Spring and it is no coincidence that a the complete solar eclipse, the event that only takes place every 100,000 years, is taking place during Obama’s quest to destroy Christianity not only in America, but in the world. 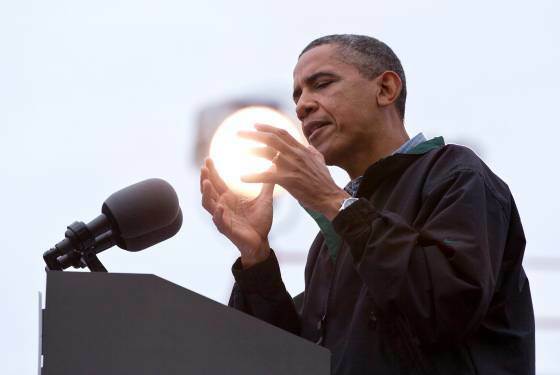 Obama mocks the ancient Egyptian Sun-god Ra by holding the namesake of his power in his hands, the Sun. Obama’s tribe in Kenya is the Tok-Ra, which literally means ‘Those who stand against Ra’. Of the Tok-Ra, the false God Apophis was worshipped as a Pharaoh. Obama is making a statement that he –the second coming of Apophis — controls Ra’s power. 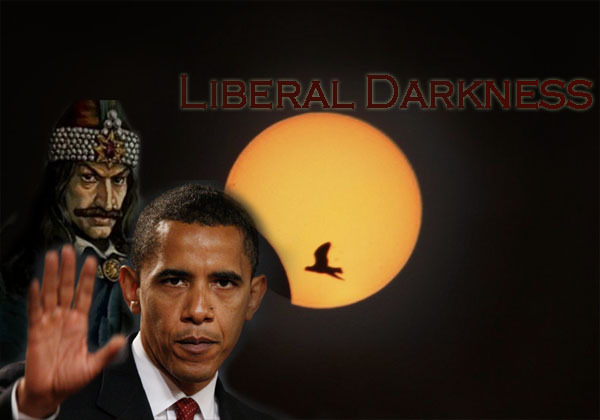 Obama’s fascination with darkness was already shown during his Illuminati Daylight Saving Time ritual. Vlad Tepes, the Dragon of the First Liberal Darkness, is also known by as the son of ‘Lucifer Morningstar’ in ancient texts. Tepes wielded some Apophis power, but nowhere near as much as Obama. For modern Christians, this means nothing but trouble. The signs are clear: already in the Middle East, Obama has allowed ISIS to amass power. In America, Obama erodes Christian values by allowing gay marriages and free communist healthcare to those who refuse to partake in capitalism. Mark my words, dear friends and good readers. We are living in cruel days. Evil hours. Obama’s run to bring in an era of unprecedented ‘Change’ for America will start tomorrow. For when Obama promised CHANGE, this is what he meant: Christians Halt! And Notice God’s Eradication.